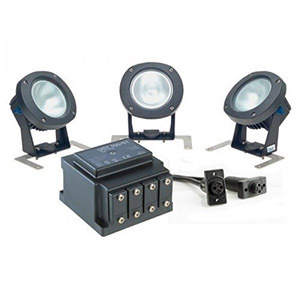 This light set for the OASE PondJet Floating Fountain consists of 3 LunAqua 10 halogen lights (50W each), an underwater transformer and mounting brackets. The light set can be retrofitted to existing PondJets. Power Cable Length: 75 ft.